We can only blame ourselves, says Jersey all-rounder, who finished as the Player of the Tournament at the ICC WCL Division 4. 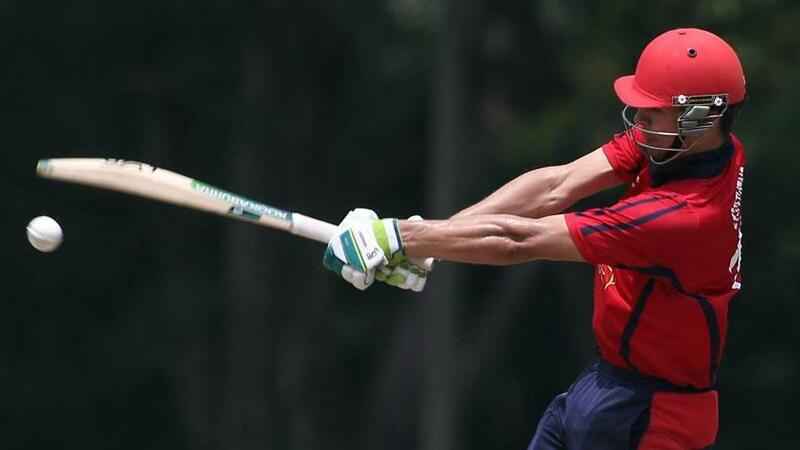 Till quite late in the ICC World Cricket League Division 4 competition, Jersey were in with a shot at making the top two. On the last day of the tournament, played in Malaysia, Jersey needed to beat Uganda to get on six points, the same as Uganda and Denmark, and, as it turned out later in the day, Malaysia as well. Then it would have come down to net run rate. But Jersey went down to Uganda by seven runs despite bowling the opponents out for 90. At various points, it did look like Jersey would pull through, but they went from 80/6 to 83 all out to concede defeat and finish in fourth place. Uganda and Denmark went through to Division Three as a result. “Going in to the tournament, we put together a strong side, and we came in full of confidence. Most of us gave ourselves a good chance, we backed ourselves to do well, finish in the top two. We were aiming to get promoted, of course. And it really was an hour or two of very bad cricket that cost us in the end. We can only blame ourselves, and nothing else. It was poor cricket,” Ben Stevens, the star Jersey all-rounder who was named Player of the Tournament, told ICC. Stevens, 26, finished with 253 runs at an average of 42.16 and picked up 13 wickets at 12.07 in six games. In both the run-scorers’ and wicket-takers’ charts, he ended at No.2. “It’s difficult to separate the team from the individual,” he said. “It was nice to score runs and take wickets, which is what I am there to do, but it was disappointing not to make it in the end. Stevens was born in Hong Kong and shifted to Jersey when he was seven. While in Hong Kong, though, the outings to the Hong Kong and Singapore Sixes tournaments with his ‘old man’ whetted the appetite for the game. Serious cricket started later, and he has steadily moved to being Jersey’s best player. At the ICC WCL Division 5 last year in South Africa, Stevens scored 204 runs in five games and also picked up 14 wickets with his left-arm spin. “I just like to think I found a purple patch in form,” said Stevens with a laugh. “It’s nice. It’s the way cricket goes – I am picking up wickets and scoring runs right now, so it’s nice to be in such good form. Jersey stay in Division 4 for now, and Stevens is looking forward to other challenges in front of him, and the team. “Team-wise, we’re happy to stay where we are, though we’d have liked to move up, be promoted,” he said. “Right now, potentially, there will be more 50-over cricket in the next couple of years. Next up is the Twenty20 competition (ICC World T20 Europe Qualifier) in Amsterdam.